View the features for the Toyota LandCruiser 200 at Fergusons Toyota below. There are dozens of small touches on the LandCruiser 200 that combine to make a big difference to the overall driving experience. One of these design features in the LandCruiser 200 Sahara is a powered built-in cooler box situated between the front seats. The cooler is powered by the vehicle's engine and can be used to keep drinks refrigerated on camping trips. Our engineers and designers packed the LandCruiser 200 with every feature imaginable from a 4WD vehicle - focusing on improving grip, performance and ride on and off road, while incorporating stand-out advances and innovations throughout the vehicle. 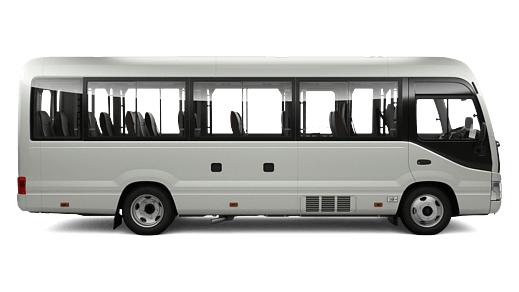 The VX Turbo-diesel and Sahara Turbo-diesel both come as 7 seaters, which makes plenty of room for passengers. 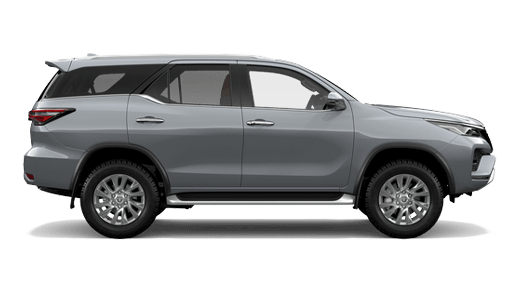 Despite its mighty stature, the LandCruiser 200 is easy to get in and out of thanks to side steps running along both sides of the vehicle (not available on GX). Not only are the side steps convenient when the LandCruiser 200 is in town, they're very useful for getting in and out of the vehicle on rough or uneven terrain. Our expert designers have incorporated many useful storage compartments in the LandCruiser 200, to help maximise space and organise luggage more conveniently. From the smallest of items, to the very largest, everything has a place. For instance, there's a handy overhead console designed specifically for sunglasses (not available on GX grade). The console helps keep sunglasses free from scratches, while in a convenient location so they are in easy reach if the sun comes out. 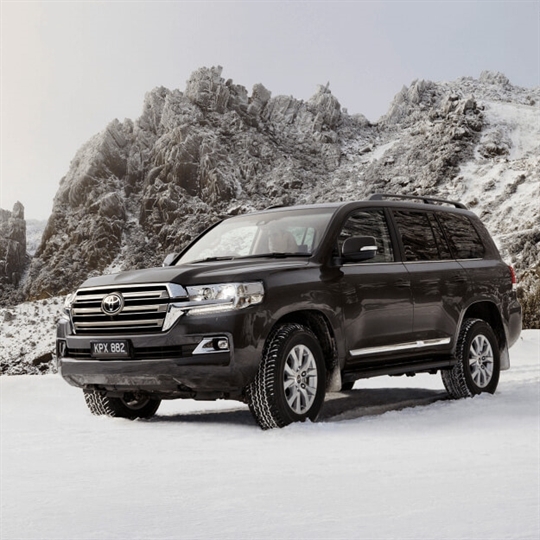 LandCruiser has always been designed and built to cope with the toughest conditions, having originally been brought to Australia for the Snowy River Hydro-Electric scheme. 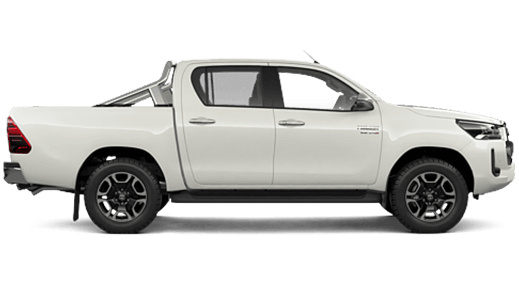 Since then the vehicle has consistently built on its reputation for toughness and reliability earning its status as the prestigious 4WD vehicle.The Sahara model comes with a stylish body side protection moulding, which also helps protect your vehicle from contact such as small bumps from other car doors. To earn a reputation as 'Earth's greatest 4WD', you've got to be able to take plenty of knocks. Which is why LandCruiser goes through some of the toughest vehicle testing. Occasional nicks, scratches and bumps are a normal phenomenon for any car, especially for a heavy-duty 4WD like the LandCruiser. That's why Toyota LandCruiser 200 bumpers are made with Toyota Super Olefin Polymer, a material that is highly rigid, allowing for a compact and lightweight bumper design. Part of what makes the LandCruiser 200 so superb as a 4WD, is its reliability in tough conditions like when the visibility is poor. Nothing is more frustrating than not having enough light to see what's in front of you. It's no wonder why Toyota designers paid special attention to LandCruiser 200 headlamps. LandCruiser 200 wheels are precision engineered, fitted and tested to some of the highest levels of safety and durability. Adding to that, we've chosen robust tyres that are able to withstand some of the muddiest, rockiest, wettest and worst road conditions in Australia. 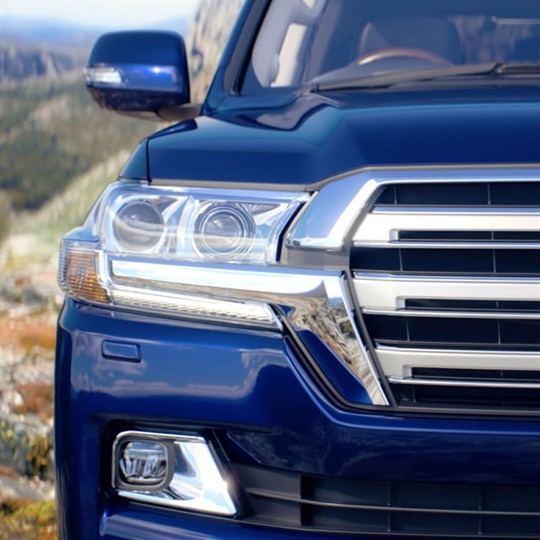 The radiator grille is the face of the LandCruiser 200. As an Australian icon, we wanted every LandCruiser 200 model to look the part, so we took care in the design of every detail. The 'Earth's Greatest 4WD' won't compromise on function, because you never know what you're going to come up against on, or off the road. Exterior ruggedness is matched with interior sophistication in every LandCruiser 200 model. We've given attention not only to the challenges a 4WD needs to face, but also to the feel of being inside one. With the LandCruiser 200, you can choose from a range of interior colours depending on your taste and the model you select. LandCruiser 200 adopts a highly versatile approach to storage space. Every LandCruiser 200 comes equipped with carefully placed cup holders, which are easily accessible and designed to prevent spills. 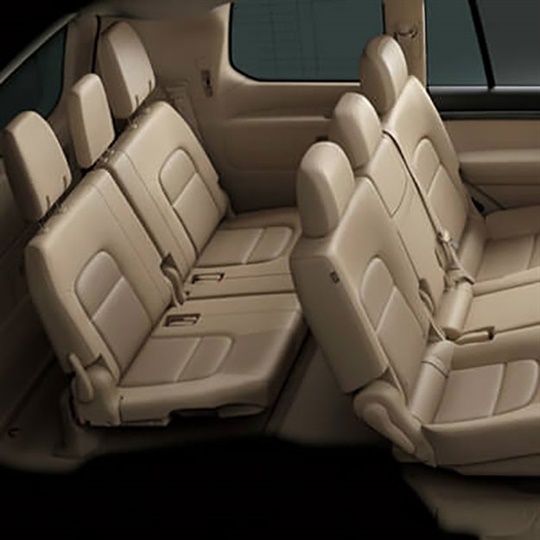 As well as boasting a whole range of smart innovations and technological advances the GXL, VX petrol and Sahara petrol models come with an 8 seater capacity, while the GX comes with 5 seats. The exterior mirrors of the LandCruiser 200 are multi-functional. The extra large surface area gives you a generous view to help keep you safe. The mirrors include integrated side turn indicators and aero stabilising fins (not available on GX models). 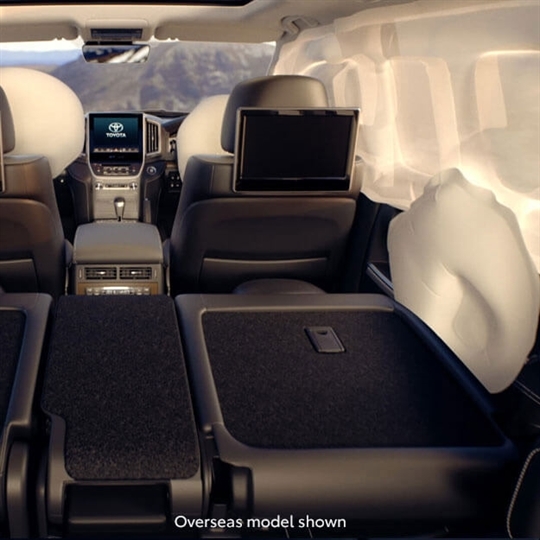 The interior of the vehicle offers all the comforts and conveniences you could want in a 4WD. Well thought out storage and quality materials are found throughout the cabin. The Sahara and VX models are at the top of the LandCruiser 200 line and offer either a black or shell beige leather accented interior. 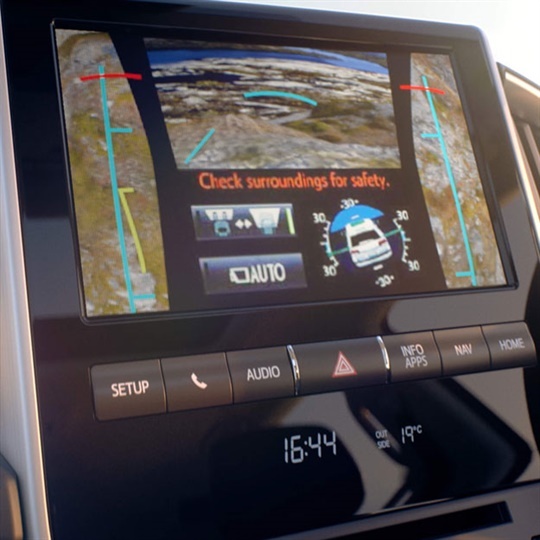 LandCruisers have been taking Australians off-road for fifty years and in that time a whole range of advanced technologies have been developed to help make LandCruiser 200 the greatest 4WD experience on earth. Our Hill-start Assist Control (HAC) is standard across the range. 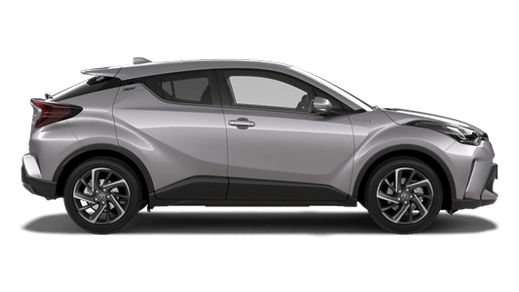 Whether you're on a slippery, muddy mountain trail, or pulled up at the lights high on a steep slope, Hill-start Assist Control automatically detects any backward rolling and reduces the vehicle’s backward movement speed, to help give you a smooth take off[G16]. Vehicle Stability Control (VSC) plus Active Traction Control (A-TRC) is standard across the LandCruiser 200 series range. VSC is a fast acting computer-based car safety system that automatically activates in emergency driving situations. It's designed to help control a front or rear-end skid when cornering. So if you ever have a rear-end skid (over steer) in a tricky corner or your car starts to plough straight ahead instead of taking the turn (under steer), VSC automatically intervenes. It detects that you're not on your intended path and takes corrective measures. 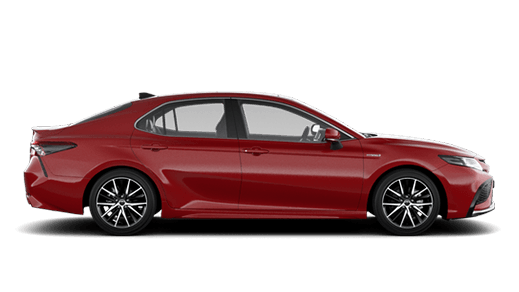 Toyota's advanced suspension system uses advanced technology to deliver more robust traction, better performance and less body roll, even on the rocks. 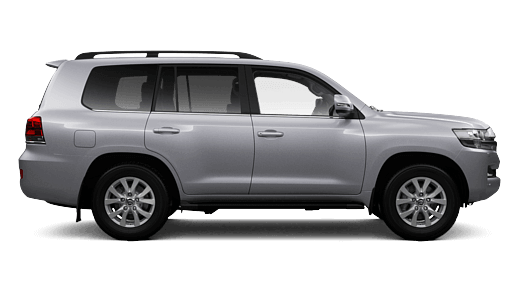 LandCruiser 200 (with the exception of the GX model and optional on GXL Turbo-diesel) features Toyota's innovative Kinetic Dynamic Suspension System (KDSS)[U2]. 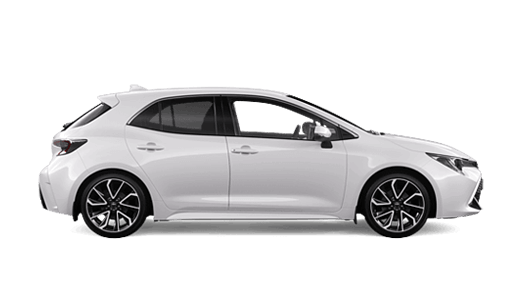 KDSS[U2] is Toyota's advanced suspension control technology. 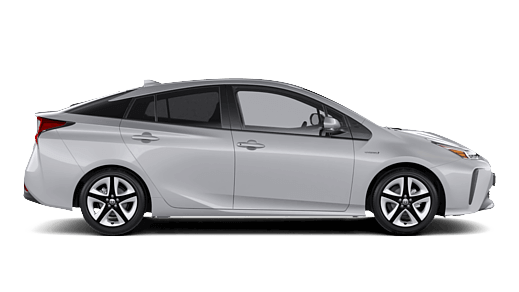 On the road, it provides increased traction as well as minimised body roll. Off-road it's phenomenal. All models of the LandCruiser 200 series are equipped with an engine immobiliser to help prevent vehicle theft. This ensures that the vehicle cannot be started unless the keys are in the vehicle. The GXL, VX and Sahara models are also equipped with alarm systems for added security. A very convenient feature of our Smart Entry and Start system is the keyless ignition. So as long as your key is somewhere in the car, the smart system allows you fire the engine up, by simply applying your foot to the brake and pressing the button on the dashboard. Cruise Control helps you maintain a steady speed and reduces fatigue. Using a handily placed control stalk (just behind the steering wheel) the driver can set and adjust a cruise speed. 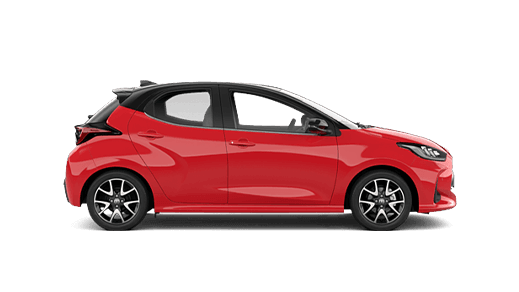 The vehicle will work to constantly maintain that speed without the driver having to put a foot on the accelerator, allowing focus to remain on the road. There are so many ways to store, access and make your music mobile these days - iPod®[G8], MP3 player[G5], CD, memory stick[G5], etc. We decided the audio experience in LandCruiser 200 should be as complete as the drive itself. That's why all models offer a CD player, plus a USB port for selected memory sticks[G5]. The GX model also includes a 3.5mm AUX input. LandCruiser 200 features a host of advanced technological features that make it one of the most intelligent 4WDs on, or off, the road. For instance, it has in-car Bluetooth®[B5] compatibility integrated into the audio system, which means you can make and receive calls while driving - yet your focus can remain where it needs to be: on the road. With Bluetooth®[B5] in the GX, you have the Phonebook Access Profile[G9] and in the GXL you also have the Message Access Profile[G9] which reads out SMS texts and Voice Recognition. Choose the VX or Sahara model and you get an Electro Multi Vision Screen[B11] (EMV) which puts a whole range of features and innovations at your fingertips. 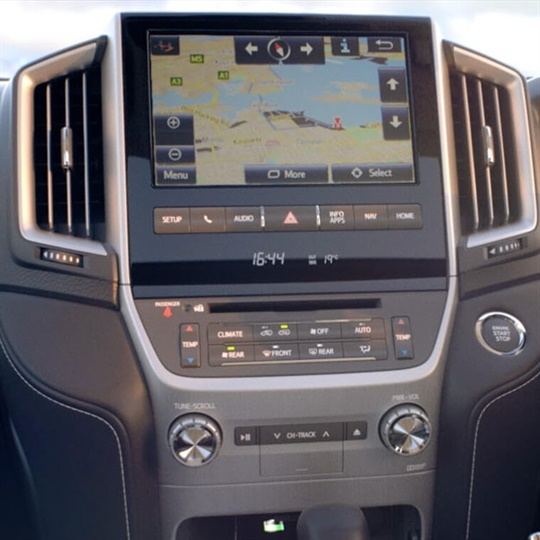 This system features a colour touch-screen display set into the centre console which enables you to manage climate control, audio, integrated Satellite Navigation[N1] system and Bluetooth®[B5] connectivity. 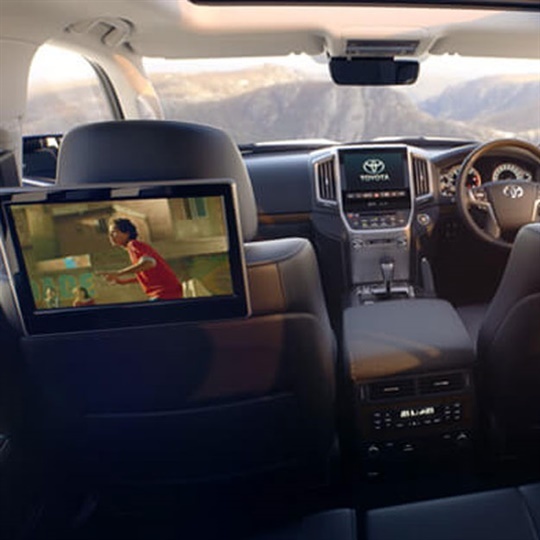 The Sahara model is equipped with a state-of-the-art dual Rear Seat Entertainment System featuring two 11.6 inch Full High Definition displays installed behind the driver's and front passenger's seat headrest. With an angle adjustability of up to 50 degrees, the kids will be able to watch their favourite shows regardless of the seat angle. LandCruiser 200 is fitted with various accessory sockets enabling driver and passengers to run and charge electrical devices. So all the usual gadgets that you would want with you in the car can easily be charged while the vehicle is running. Sahara, VX and GXL grades offer two 12V/120W sockets plus an AC 220V/100W socket. GX grade offers a 12V cigarette lighter socket. The soundtrack to Earth's greatest 4WD experience needs to be just right. And the LandCruiser 200 offers all round crystal-clear sounds thanks to a 6 speaker audio system in GXL models and a 4 speaker system in the GX, The Sahara and VX models steps up to 9 speakers and an Electro Multi Vision (EMV) control device that includes a single CD/DVD player, USB input[G5] and DAB radio functionality[B3]. The GXL features a 6.1" LCD touchscreen with colour graphic display. The GX audio unit has a single CD player, 3.5mm AUX jack, USB input[G5] and 3 line text display. 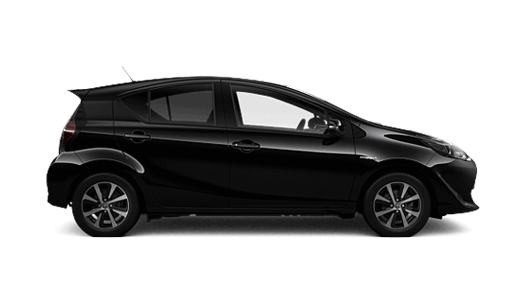 All models have an in-built glass antenna mounted on the rear three-quarter side window. 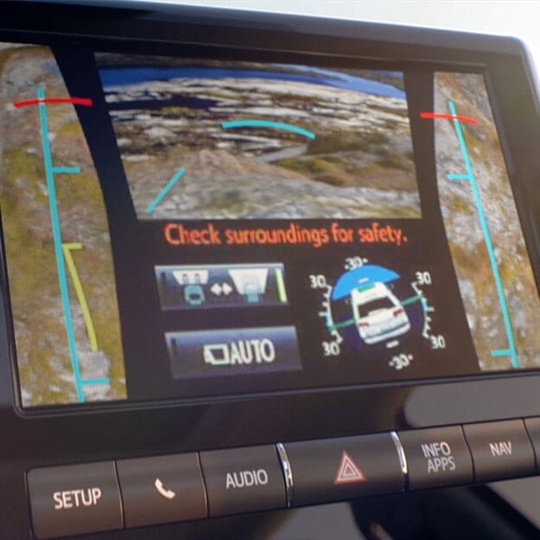 The LandCruiser 200 comes with a Park Assist System[B4] that makes squeezing into tight spaces a breeze. The vehicle's Park Assist System[B4] (available in VX and Sahara models only) uses ultrasonic sensors that notify the driver of obstacles in front and behind the vehicle - helping you to guide the vehicle into tight spots. The sonars gauge your distance by interpreting the echoes from the sound waves emitted between you and another object. You are always in control when using the Park Assist System[B4] . The system works intelligently, letting you know what you need to know, when you need it. They say it's the little things that make the difference. And there's no better example than the rain sensing wipers you'll find on VX and Sahara models. The inclusion of rain sensing wipers on the Sahara and VX models is part of the overall goal of creating a driving experience that's as smooth and comfortable as possible. The rain sensing wipers adjust for the weather overhead. When the wipers are set to automatic, they are able to detect the first drops of rain and turn on by themselves, which means you don't have to worry about being suddenly blinded should a downpour come along. The wiping speed also conveniently adjusts as the weather changes. The V8 power units deliver massive torque, giving the LandCruiser 200 more grunt and pulling power than ever before, enabling the car to venture where other 4WDs might struggle. 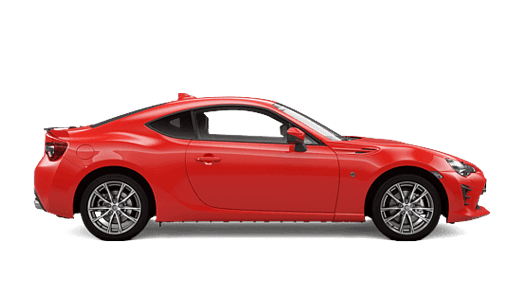 With the petrol variant V8 engine (not available on GX) offering 439Nm at 3400rpm and the diesel variant delivering a heart thumping 650Nm at 1600-2600rpm, you can forget old boundaries and limitations. Get ready to push the envelope on-road and off. Standard across the range, the LandCruiser 200 employs a full-time 4WD system. Significant research and engineering modifications, sometimes on a microscopic scale, means you'll enjoy a precise, smoother, safer ride - even on some of the toughest terrain on the planet. 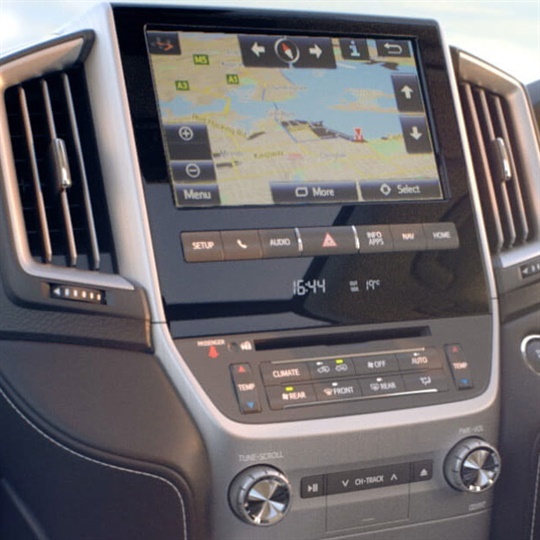 With the simple flick of a switch, you can transfer between High and Low range, making the four wheel drive system totally flexible and adjustable to both the conditions and the way you like to drive. LandCruiser 200 (excluding the GX and optional on the GXL Turbo-diesel) feature Toyota's innovative Kinetic Dynamic Suspension System (KDSS)[U2]. KDSS[U2] is an advanced suspension control technology. On flat surfaces it helps ensure a more comfortable ride, while off-road it ensures impressive wheel articulation, helping generate optimum grip. 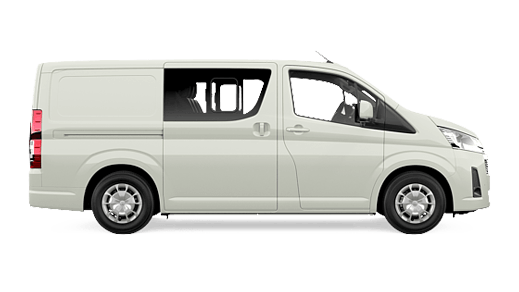 The fuel tank capacity is massive - all models are fitted with a 93 litre main tank and also have a 45 litre sub-tank. Now you can spend less time filling up at the petrol station and more time on the road. 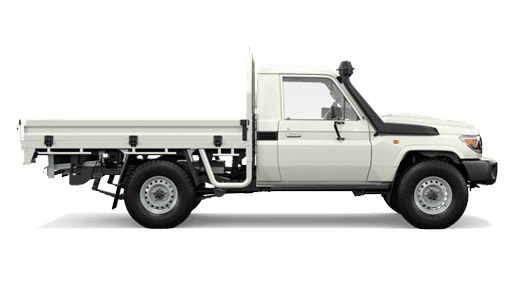 The LandCruiser 200's power and handling comes with responsibility built-in, with both engines fully compliant with strict EURO IV emission standards. With the Multi-Terrain Select system (available on VX and Sahara models only), you can instantly change the vehicle's settings to match the present road conditions from rocky slopes to dirt roads to open terrain at the flick of a switch. This system allows you to choose between five road condition modes: Rock; Rock and Dirt; Mogul; Loose Rock; and Mud and Sand. The space immediately in front of a 4WD is often the hardest to see. 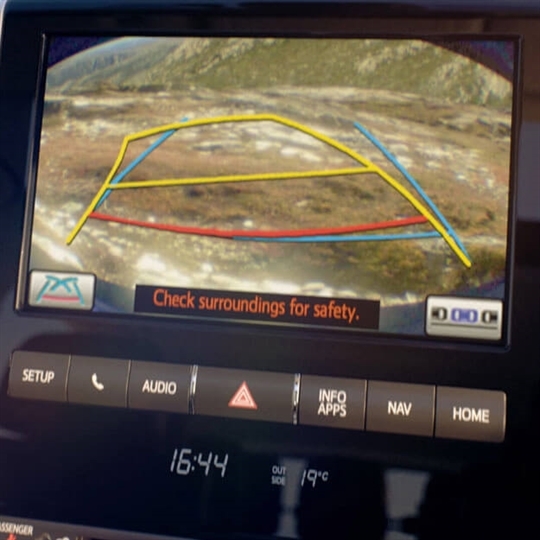 The Sahara's front camera uses a wide-angle lens allowing you vision of the full width of the vehicle and the area immediately in front of your bumper. To see the rear view, simply shift the lever to the R position. Cameras integrated into the side mirrors of the Sahara allow a view of the area around the left and right tyres. 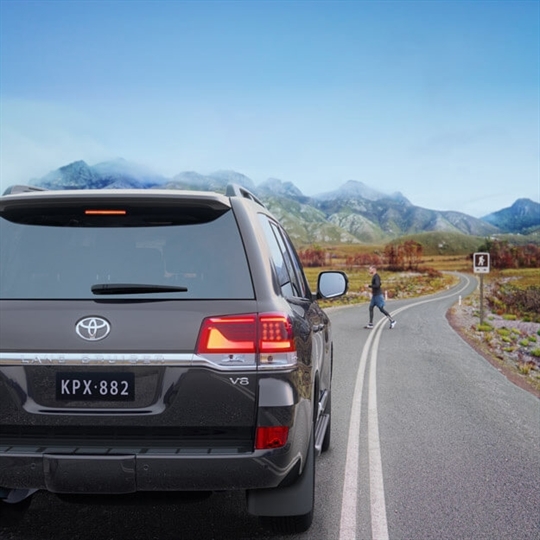 VSC is an intelligent piece of technology that helps LandCruiser 200 hold its direction when you're driving through a corner. It does this by dampening understeer (front wheel sideways skidding) as well as oversteer (rear wheel sideways skidding) by automatically adjusting the drive power and braking force going to each individual wheel. 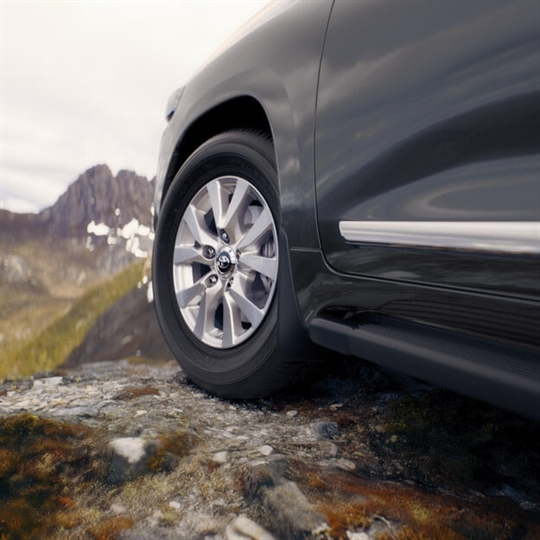 As well as Vehicle Stability Control, the LandCruiser has Active Traction Control (A-TRC) technology, which helps prevent the wheels from spinning on slippery surfaces. This is particularly important in wet or icy weather, helping to ensure you have maximum control. Active Traction Control (A-TRC) is standard across the LandCruiser 200 range. The system monitors how effectively each of the vehicle's wheels are gripping the road or the terrain the vehicle is moving over. It then automatically adjusts the power sent to each wheel so that the wheels with the most grip can do the most work. It also automatically applies brakeforce to the wheels with insufficient grip. Active Traction Control, enables LandCruiser 200 to cover various kinds of road surface without the need for centre differential locking. LandCruiser 200 is equipped with a Multi-Terrain Anti Lock Braking System (ABS). 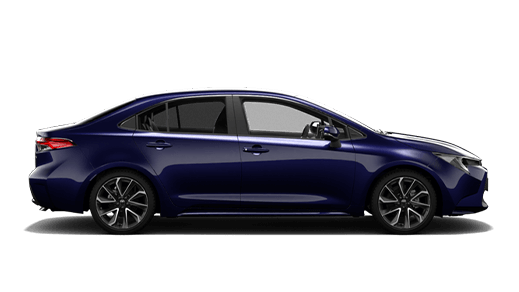 This system works with Electronic Brake-force Distribution (EBD) , to control braking force to each individual wheel, depending on conditions and the load you're carrying. This helps prevent skidding and helps ensure that the car stops in the shortest distance possible. 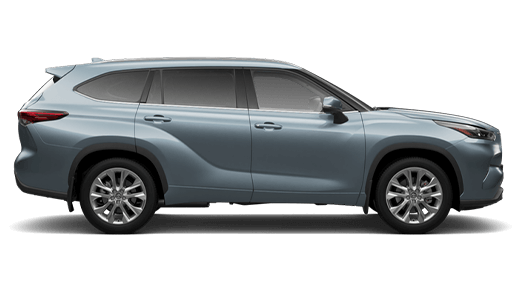 If you do get into an emergency braking situation, the LandCrusier 200 will sense it by how quickly you apply the brakes and automatically give you even more braking force. 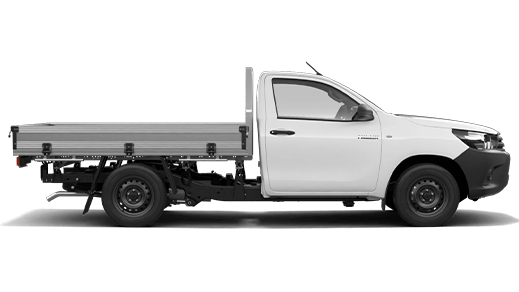 Electronic Brake-force Distribution also helps brake performance - minimising stopping distances by maximising braking power to the wheels with the most grip, useful when towing or carrying heavy loads. This helps prevent skidding and helps ensure that the car stops in the shortest distance possible. 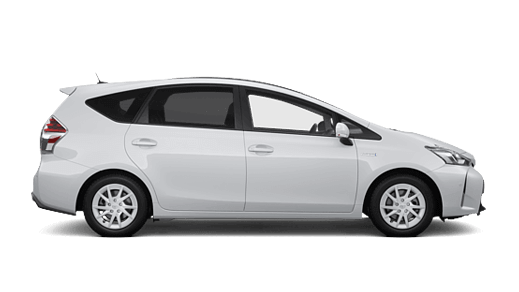 Electronic Brake-force Distribution is integrated as part of the Anti-Lock Braking System. Our ongoing commitment to vehicle and pedestrian safety has driven much of LandCruiser 200's structural design, from the front bumpers to internal pillars. In emergency braking situations, Brake Assist (BA) interprets a quick hard push of the brake pedal as emergency braking and supplements the braking power so that the vehicle slows more rapidly. The LandCruiser 200 GX comes equipped with driver and front passenger dual stage SRS airbags, driver and front passenger knee airbags, side airbags for the driver and front passenger and curtain shield airbags for the front and second row occupants. 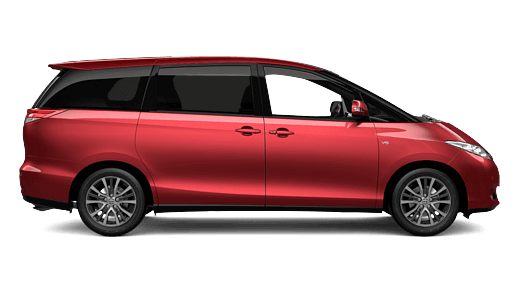 The GXL model replicates the GX plus features full length curtain airbags, providing side impact protection for all three rows of vehicle occupants, including protection of the luggage area. All LandCruiser 200 models come standard with curtain shield airbags. 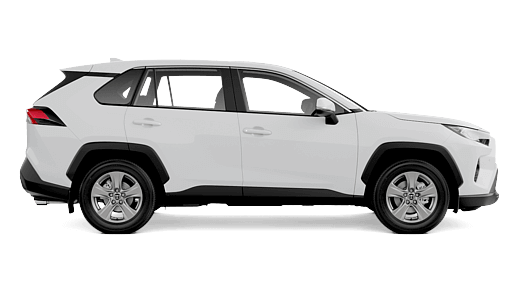 GX models provide curtain shield airbags for both the front and second row occupants, while GXL, VX and Sahara models ensure added safety by offering full length curtain shield airbags. All LandCruiser 200 models have front seat side airbags while the VX and Sahara also have second row side airbags. The LandCruiser 200 has an in-built Reversing Camera[B4] to help make reversing safer and easier (not available on GX models). For VX and Sahara models, the camera works in conjunction with reverse parking sensors [B4] where the image is displayed on the Electro Multi Vision (EMV) screen. 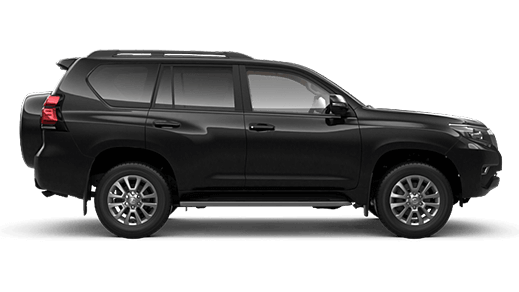 Every new LandCruiser 200 at Fergusons Toyota is entitled to up to 6 standard scheduled services at $220 (petrol models)* or $280 (diesel models)* for the first 3 years or 60,000km whichever occurs first. [B11] The Multi-Terrain Monitor does not provide a comprehensive view of the area surrounding the vehicle, it is designed as a driver assist device only and should not be used as a substitute for skilled driving and safe parking practices. [G16] Hill-Start Assist is a driver assist technology and should not be used as a substitute for safe driving practices. [U2] KDSS is not available on GX, is an optional extra on GX Turbo-diesel and is standard on all other grades.